The new iPad is just called the iPad Pro. Or perhaps it’s the iPad Pro 9.7-inch, sort of like the MacBook Pro gets identified by its screen size. No matter it is called the new iPad Pro,9.7inch iPad Pro or iPad Pro 2, the iPad Pro family is just like iPad Mini and iPad Air that has multiple members, not just single one any more. Even though iPad Pro can bring us lots of entertainment, you can’t deny that the biggest usage of iPad Pro for common people is to watch movies on it. So what should you know about playing movies on iPad Pro? 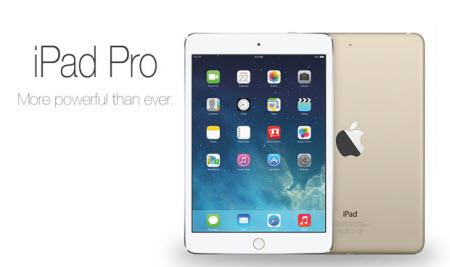 Now, read on the article to learn everything about iPad Pro. Surface Pro 3 vs. iPad Pro, Which is Better?